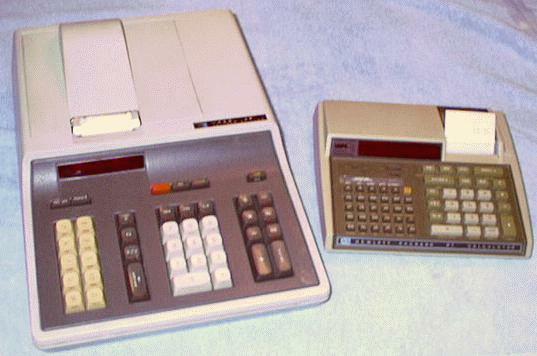 The calculators on this page are not for sale. Go HERE to see duplicates in my collection that are for sale, and my "wanted" list. The Classics: 35, 45, 55, 65, 67, 80. 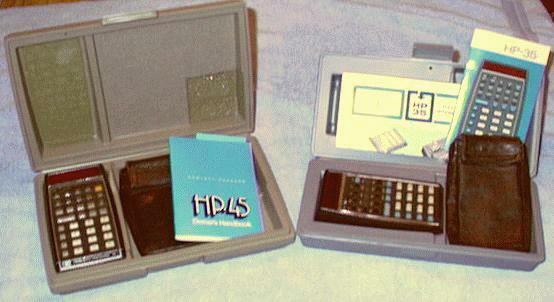 HP-35 and HP-45 in their transport cases with original manuals and leather cases. 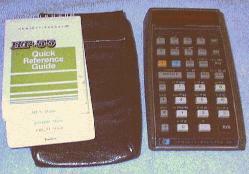 HP- 55 with case and quick reference guide. 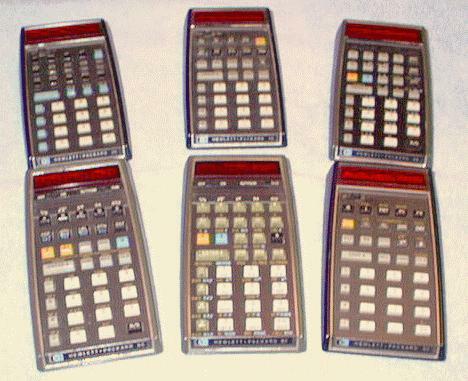 Coming soon: HP-3x series, HP-71, HP75, HP41 + accessories, HP85, HP9826.